Esophagitis, inflammation of the esophagus, can be painful and uncomfortable, and it might increase your risk of developing esophageal cancer. It’s a common complication of acid reflux disease, but thankfully, it’s highly treatable. At Arlington Gastroenterology Services, board-certified gastroenterologist Hamid Kamran, MD, FACG, helps you manage the symptoms of esophagitis while treating the underlying causes. Schedule an appointment at the office in Arlington, Texas, online or over the phone. Esophagitis is irritation of your esophagus, which connects your throat to your stomach. Without treatment, esophagitis can cause lasting damage to your esophagus. Your esophagus may narrow, and you could develop ulcers or scarring. These symptoms aren’t unique to esophagitis. You should schedule an appointment with Dr. Kamran if these symptoms last longer than a few days, don’t respond to over-the-counter antacids, or if you’re having trouble eating. The most common cause of esophagitis is gastroesophageal reflux disease (GERD), also known as acid reflux. GERD causes stomach acid to back up into your esophagus, which can irritate and damage your esophagus over time. Esophagitis caused by GERD is known as reflux esophagitis. You’re more likely to develop reflux esophagitis if you don’t properly manage your GERD. It’s important to reduce your intake of foods that cause acid reflux and cut down on habits like smoking and drinking alcohol. This reduces irritation of your esophagus, and in turn, your risk of developing esophagitis. Sometimes, more than one factor contributes to esophagitis. How is esophagitis diagnosed and treated? Dr. Kamran diagnoses esophagitis through endoscopy or a barium X-ray. These imaging tests allow him to see inside your esophagus and detect any abnormalities. Treatment for esophagitis involves both treating the symptoms and managing the underlying causes. 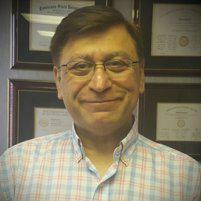 If you have reflux esophagitis, Dr. Kamran may prescribe medication to reduce acid production and heal your esophagus. You should also follow habits that prevent or reduce acid reflux, including avoiding spicy, acidic foods, eating smaller meals, and losing excess weight. If the cause of your esophagitis is an allergic reaction, Dr. Kamran determines your allergy triggers and provides guidance on avoiding them. Infectious esophagitis usually responds to medication to clear the infection. If you have drug-induced esophagitis, you may need to switch to an alternative medication. In some cases, you may need surgery to correct the narrowing of your esophagus. Schedule an appointment at Arlington Gastroenterology Services online or over the phone.